Denver’s BEST Appliance Repair is among the top 5 repair companies in Colorado and has offered superior quality service in and around the Denver Colorado area for more than 10 years. Our technicians are more than qualified to provide first-rate services that are sure to leave you extremely satisfied! contact us and we will fix it for you in the convenience of your home without any charge. Our diagnostic fees are always and above all aimed to be affordable to you our valued customer. With that being said if you decide to move forward with our technician and have your appliance repaired with us, the diagnostic fee will be revoked. Denver’s Best Appliance repair offers a wide array of ever-improving discounts and savings that are available for review on our site. These saving are redeemable to anyone whether you’re new, returning, senior citizens or military. Simply mention the special saving when you call into our office and it will be applied to your service guaranteed! The gratification of our customers is the most important aspect of our company that is why we only use the highest quality of new parts, NEVER USED! In order to implement the resolution you deserve we operate 7 days a week from 8 AM to 8 PM! Has your refrigerator gone out? Afraid of your frozen goods going bad? Don’t fret! We can dispense same day services to get you and your family back to enjoying your day! We promise that you will never have to worry about those pesky automated operators. Our live ops are always just that, LIVE PEOPLE, no answering robots to frustrate you even more than you may be already!! Our competitive pricing excels our company ahead of the crowds of others whose only concern is money. When our technicians quote a price he or she is fully capable of explaining where and what that quote pertains to. Whirlpool, General Electric (GE), Frigidaire, Maytag, KitchenAid, Hotpoint, Amana, Admiral, Electrolux, and Jenn-Air. Never worry about hauling your appliance to a location again! We will come to you rain or shine to ensure you are comfortable as we accommodate you in your own home environment. Technicians working for Denver’s Best Appliance Repair are neighborly and sympathetic to your plight. 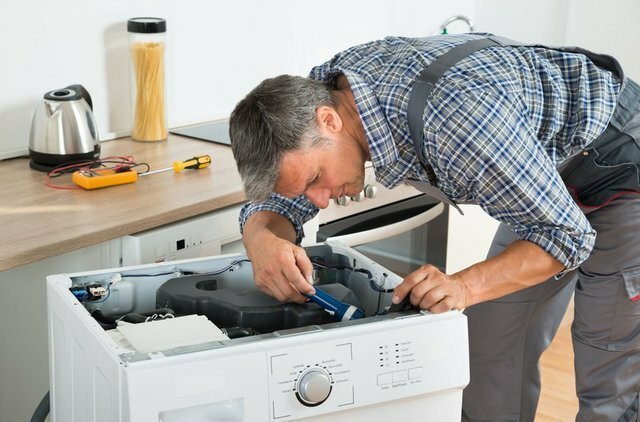 They understand the frustrations that can accompany an unexpected appliance repair and will address each situation proficiently and accordingly! Our tech crew here at Denver’s BEST Appliance repair have years of experience dealing with the repair of major brand home appliances so that you can count on the outstanding quality of work that they provide. No Replies to "Our Best Appliance Repair Services in Denver, CO | Denver's Best Appliance Repair"
Our Best Appliance Repair Services in Denver, CO | Denver's Best Appliance Repair Overall rating:	5 out of 5 based on 6 reviews.